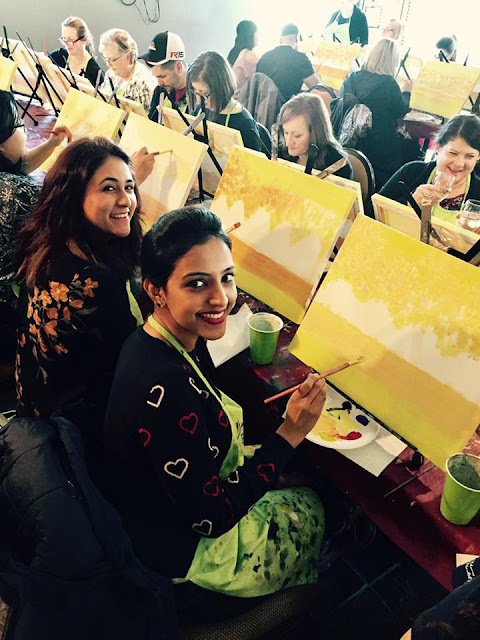 when my friend Amita invited me to a Paint Nite I happily agreed to go with her. Complete alien to the concept of Paint Nite, I looked up the internet to find out more. I was surprised to see the popularity and scale of this event not just in North America but Europe and Africa too. 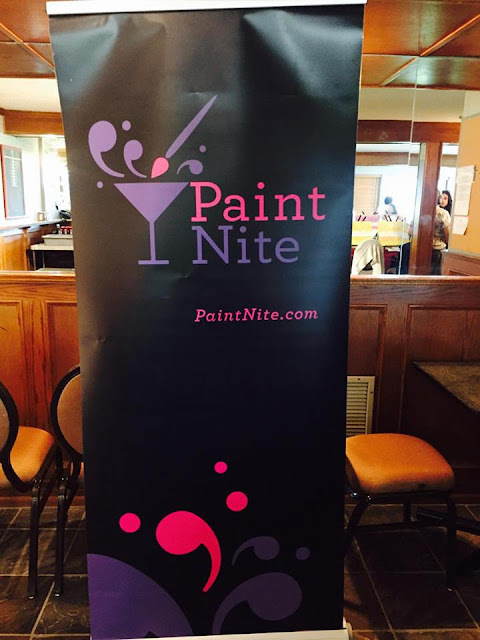 Founded in 2012 Paint Nite is a global community of Creative Entrepreneurs and Local Artists sharing their passion, bar and restaurant owners connecting with their community, and creative-minded employees who love what they do. 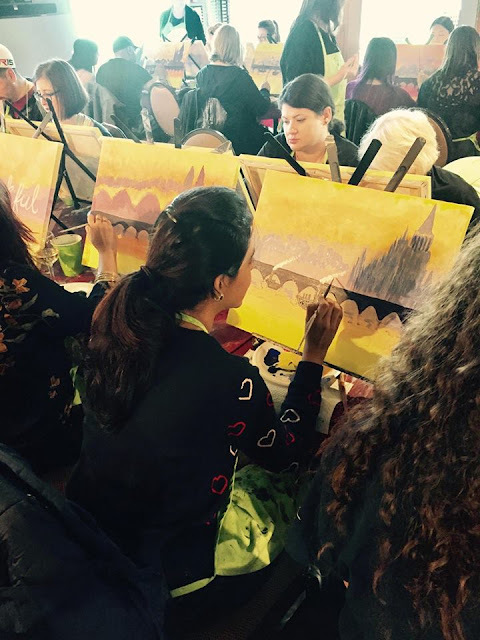 They host creative social events around the world for people who love to paint and socialize at the same time. As a kid I loved drawing and painting but the last time I held a paint brush was probably in school. So as excited I was for this event it made me a little nervous too! 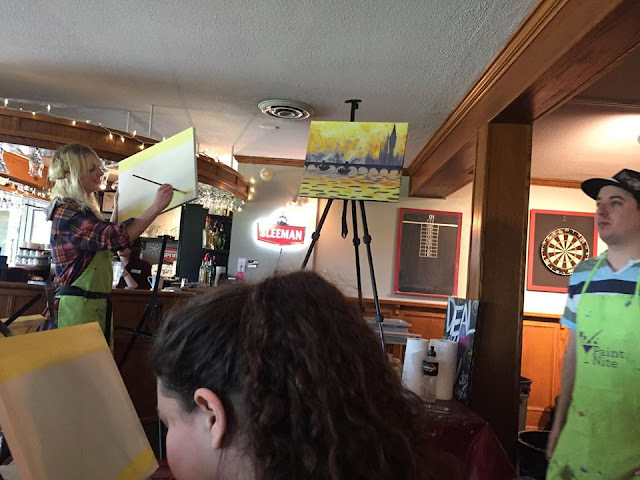 When we reached the bar and dining area of Guildford Golf & Country Club where the event was organized, we saw around 25-30 blank canvas boards arranged neatly across the tables ready for the enthusiastic painters to explore. We just had to pick a seat (if you’re with a group arrive early to get seats together). The hosts were warm and friendly and provided everyone with the paint supplies. 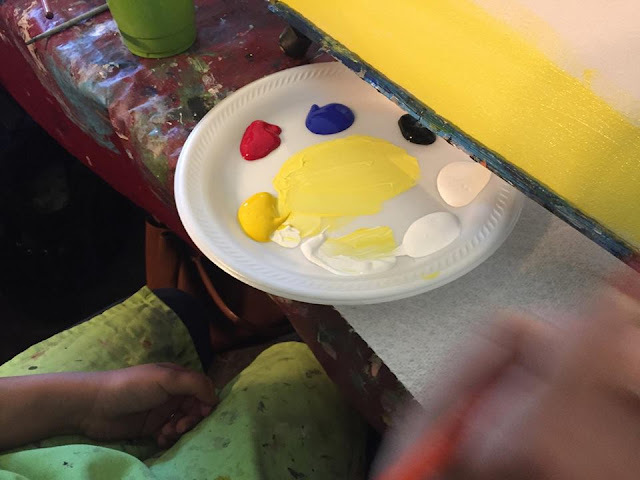 experienced artist was present to guide us through the painting. The group was a good mix of different age groups. There were families having a fun and relaxing Saturday outing, groups of girls on their girls’ night out and even couples enjoying their date night. It was a complete pleasurable atmosphere. You are not expected to be an artist to be able to attend this. There are no judgements whatsoever on your work. So you’re free to paint however and whatever you want. The idea is to just have fun and a few drinks! And in the end you can take home your piece of art with you. Isn’t that amazing? If you need a break from your typical night out with a perfect mix of creativity and fun you know what to do. It’ll be the best two hours of your evening having fun unleashing the artist within you! 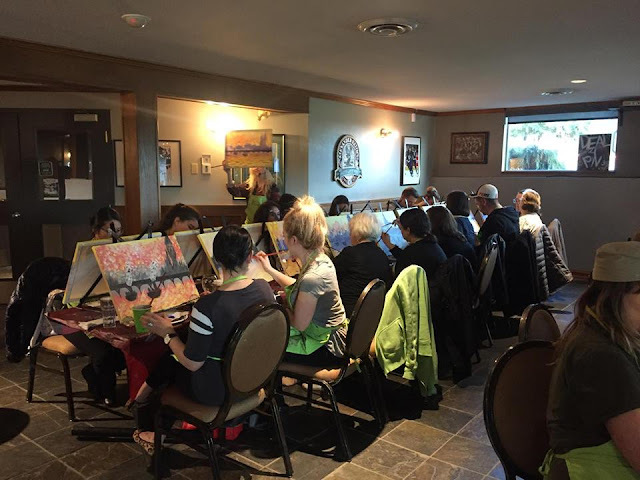 You more updates on Paint Nite in Vancouver you can follow them on FB. 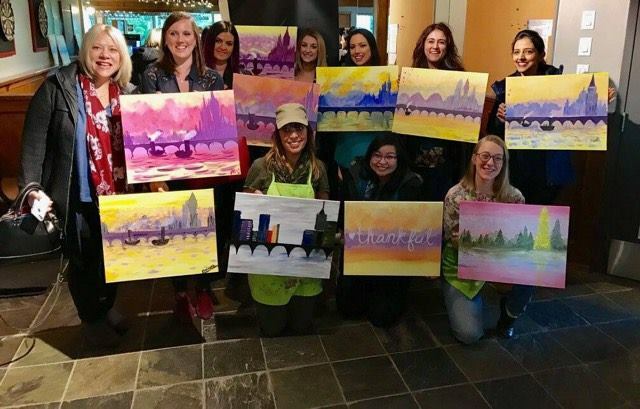 Thank you for your excellent review on Paint Nite, looking forward to greet you at our next event! Be sure to use my 30% discount code WOW30OFF when getting your tickets. Cheers, michael.wei@paintnite.com. that sounds like such a fun and interactive session I wish they organized something here too.